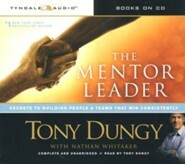 Once a star player in the NFL, Dungy went on to become an award-winning coach. Drawing on his life and career, he shares mentoring secrets to help you become the leader God wants you to be. Discover how to develop key leadership traits, positively influence your team with words and actions, maximize group performance, and more. 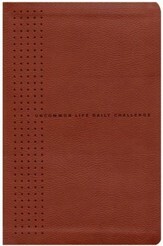 256 pages, softcover from Tyndale. Your only job is to help your players be better. That single idea had a huge impact on Tony Dungy when he heard it from one of his earliest mentors, and it led him to develop the successful leadership style so admired by players and coaches throughout the NFL. Now, a storied career and a Super Bowl victory later, Tony Dungy is sharing his unique leadership philosophy with you. 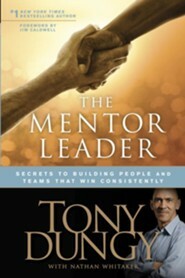 In The Mentor Leader, Tony reveals what propelled him to the top of his profession and shows how you can apply the same approach to virtually any area of your life. In the process, youll learn the seven keys of mentoring leadershipand why theyre so effective; why mentor leadership brings out the best in people; how a mentor leader recovers from mistakes and handles team discipline; and the secret to getting people to follow you and do their best for you without intimidation tactics. 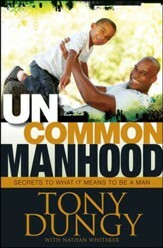 As a son, a football player, and a winning coach, Tony has always learned from others on his path to success. Now you can learn to succeed for your team, family, or organization while living out your valuesby becoming a mentor leader. 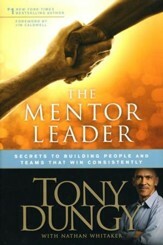 I'm the author/artist and I want to review The Mentor Leader: Secrets to Building People & Teams That Win Consistently.